Split Croatia Take A Break Holidays. Split The second largest city in Croatia is Split, It is the largest city on the Adriatic coast. This lively city is worth more than just a visit, Come stay at Split for a relaxing holiday. Providing free parking within easy walking distance from the Diocletian’s Palace, Fabio Residence 2 offers air-conditioned apartments with free Wi-Fi, LCD satellite TV and a furnished terrace. There is 1 person looking at these apartments. More The living room of each apartment includes a seating area with sofa and a kitchen with fridge and dining table. Free toiletries and a hairdryer are provided in the bathroom. 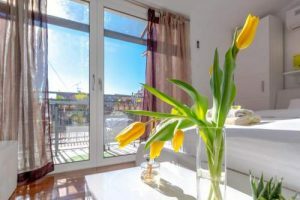 There is a grocery shop on the opposite side of the street, while the Marmontova shopping street and the charming Prokurative Square are only 200 metres away. UNESCO-listed Diocletian’s Palace and the marvelous Riva promenade are within 400 metres from Fabio Residence 2. You can relax with a walk around the lush Marjan Park-Forest, which starts about 500 metres away. Poljud Stadium is 1 km away, while the sandy Bačvice Beach with several night bars is at a distance of 1.5 km. Latest Accommodation booking: 14 hours ago. Holiday homes in Split for an unforgettable holiday. We offer you the best holiday houses in Split Croatia at the nicest spots. View our array of holiday homes, bungalows, apartments and holiday parks in Split Croatia and book your holiday home here. 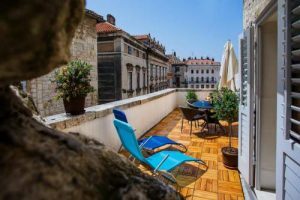 Situated in various locations inside Diocletian’s Palace or in old town, Best Of Split Apartments offers fully-equipped apartments with air conditioning and free Wi-Fi. Guests benefit from a free walking tour of Split. Each apartment offers a living room and a fully equipped kitchenette. Private bathroom provides shower, hairdryer and free toiletries. Bed linen and towels are provided. You can enjoy your breakfast at one of the nearby bistros.The towns main attractions as well as the ferry port, bus and train stations are can be reached in an easy 5-minute walk. Supermarkets, restaurants, casinos and bars can all be reached in a couple of steps. The shopping street, Marmontova, is 200 metres away. The popular Bačvice Beach, famous for numerous day and night entertainment options, can be reached on foot from Best Of Apartments. Forrest-park Marjan is perfect for hiking, picnics and long walks and can be reached in 1 km. A traditional Dalmatian stone house, Villa Spaladium is 200 metres away from Diocletian’s Palace in Split. It offers en-suite, air-conditioned apartments with free Wi-Fi, a kitchenette and fridge. There is 1 person looking at these apartments. More The two luxury rooms can be reached in a 3-minute walk from Villa Spaladium, while the apartment is situated within the walls of the Diocletian’s Palace. All apartments come with satellite TV, a DVD player and a safe. The bathrooms have showers and hairdryers. Towels and bed linen is provided. The city beach Bacvice, which was awarded with the Blue Flag, is 400 metres away from Villa Spaladium. Within 100 metres from the villa there is a city market with local, fresh products. The Main Bus and Train Station, as well as airport transfer links, can be found at a distance of 300 metres. Latest Accommodation booking: 7 hours ago. Take A Break Holidays takeabreakholidays. The Local Ancient City in Croatia Adriatic Coastline – All the Best Spots to see & Visit Travel Guide. This is the second largest city in Croatia lying on the Adriatic coastline. This is one of the oldest Cities dating back 1700 years to an ancient time where Greeks and Romans ruled. It’s a place of historical monuments and resorts to explore. The old city is an ancient maze of limestone streets with cafes throughout, while the beaches provide some of the cleanest water to swim in. A transportation hub that brings travellers to sail to the many adjacent islands such as Hvar, another island I explored. There are adventurous hiking trails that wrap around the peninsula. Courtyards with concerts and events, with an exciting Riva waterfront promenade to stroll and enjoy the cafes and scenery. This is one of the most cleanest and beautiful cities I have ever visited. Take A Break Holidays takeabreakholidays, Split Accommodation.